Songs of Robert Burns, The Scottish Music Shop - The Best Selection of Scottish CDs and Scottish DVDs. 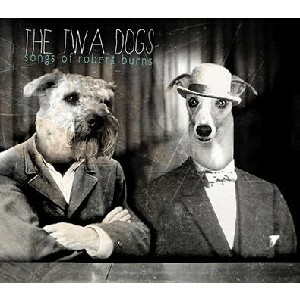 Why 'The 'Twa Dogs' and not 'The Twa Dugs'? Just our wee question. Anyway, some well sung Burns' songs, both voices being used in interesting ways (and John's voice may, at times shake the tea-cups in the cupboard) and keeps a freshness often lacking today in the arrangements. Well worth a listen. "Two contrasting voices, his from classical/light opera, hers from folk/traditional, with a smattering of instrumentalist pals, combine in 15 of the Bard’s creations, and treat them with respect, feeling, humour, and not a little originality." Scotland On Sunday.